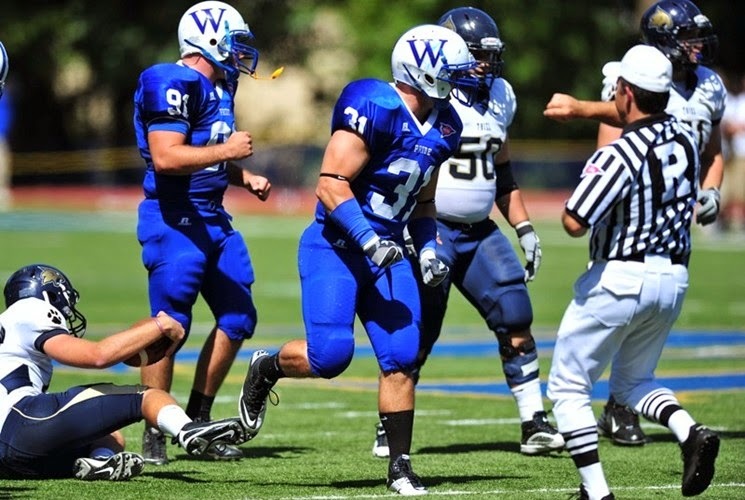 Chester, PA – Former Widener football standout Joe Favinger passed away on January 20 at the age of 25. A four year defensive starter, Favinger also stood out in the classroom. In 2010, he was recipient of the C. Robert Chervanik ’37 Award for leadership and academics. As a senior, he was honored by the National Football Foundation and the College Football Hall of Fame as a recipient of the Scholar-Athlete Award. Favinger graduated from Widener in 2011 with a bachelors’ degree in nursing. Favinger received Philadelphia Inquirer Fall Academic All-Area honors and Middle Atlantic Conference Fall Academic Honor Roll three times for his performance in the classroom. In 2007, he earned the MAC Rookie of the Year and second team all-conference. Favinger followed up his impressive freshman campaign with first team All-MAC honors in 2008 and 2009. He was received the program’s Most Valuable Player at linebacker in 2008 and 2009. As a junior, he was placed on the All-East Region team by D3Football.com. In his senior campaign, he finished 11th in the conference with eight tackles for a loss and fourth on the team with 48 tackles. The Mohnton, Pa. native represented the Pride at the 2010 D-III Football Senior Classic in Salem, Va. He finished second on the team with 65 tackles and 14 tackles for a loss during his junior season in 2009. He also led the team with 45 solo tackles. As a sophomore, he earned First Team ECAC All-Southeast Region honors. The linebacker started in all ten games for the Pride and led the team in three categories. Favinger finished with 92 tackles, 52 solo tackles and 13.5 tackles for loss. He led the Pride with 80 tackles and 6.5 sacks in his freshman campaign in 2007. Relatives and friends are invited to a celebration of his life on Monday, January 26, 2015 at 10:00 a.m. at Saint John Baptist De La Salle Roman Catholic Church, 420 Holland Street, Shillington, Pa. 19607. A viewing will be held on Sunday, January 25, 2015 from 6 to 9 p.m. at Giles & Yeckley Funeral Home and Crematorium, Inc., 21 Chestnut Street, Mohnton, and a closed casket greeting period will be held on Monday from 9:30 to 10 a.m. at the church. In lieu of flowers, memorial contributions can be made to the Animal Rescue League (P.O. Box 69, Mohnton, Pa 19540) and the Governor Mifflin Booster Club.